Running Free, a new book from the author of Feet in the Clouds. 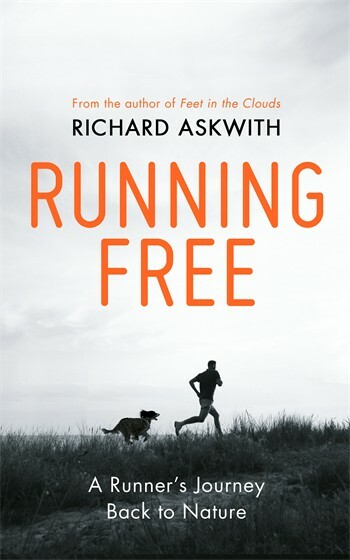 Richard Askwith tells of his journey through different ages of running, from his early years as a time and outcome obsessed runner pounding the tarmac to what he is today, a rural runner motivated by the pursuit of happiness. Turning his back on the modern world of corporate branded, packaged and regimented running he expresses what running now means to him. At times poetic and humorous he describes his running adventures both abroad and in the countryside around his Northamptonshire home with his dog Nutmeg. Where once running was about personal bests he now takes pleasure in nature: the sight of a Buzzard or the dew soaked grass on a dawn run. He eloquently captures the essence of that most basic of human instincts which we all felt as children: running for pleasure, running free. If you enjoyed Feet in the Clouds then reading Running Free is a must. Posted in Fell running, Other, Reviews, Trail Running and tagged Askwith, book, Feet in the Clouds, Running Free.